An active performer of both jazz and classical music, Idit Shner has played in various distinguished venues in the United States and abroad, such as The Kennedy Center in Washington, D.C. and Lincoln Center in New York. As a classical saxophonist Idit has commissioned and recorded new music and performed solo recitals in the US and Israel. Her fifth CD, Minerva, will be released in 2019; Her third CD, Le Merle Noir, featuring music by Messiaen, Bozza, Partos, and Glass, was released on Origin Classics in August 2013. Her previous classical recording, FISSURES: 20th Century Music for saxophone and Harp with renowned harpist Yumiko Schlaffer, received great acclaim and was played on NPR's All Things Considered. Idit has collaborated with Fireworks, Beta Collide and Third Angle (new music ensembles), and performed with the Oregon Symphony and the Eugene Symphony. Other appearances include CBDNA, the Northwest Percussion Festival, Electronic Music Midwest, the Oregon Bach Festival, and many North American Saxophone Alliance Conventions. During March 2006 she played in Israel as a featured soloist with a symphonic orchestra, and performed contemporary music at the national convention of the Society for Electro Acoustic Music in the US. Her last solo recital in Israel was broadcasted live on Voice of Music, a national public radio station. As a jazz saxophonist, Shner performed at the Diet Coke Woman in Jazz Festival (NY), Bellayre Festival (NY), and New-Trier Jazz Festival (IL); toured with pianist Jangun Bae in Korea and Japan; and continues to perform with her jazz quartet in the Pacific Northwest. Her jazz debut, Tuesday’s Blues, was released on OA2 Records and received great reviews from Jazz Times, All Music Guide, and Jazz Review. Her second jazz recording, Nine Short Stories, received a four-star review from Downbeat and excellent radio airplay. Dr. Evan Smith is an innovative teacher and versatile performer on both saxophone and clarinet able to span numerous musical genres. He holds degrees in saxophone performance and music education from the University of Washington, University of Northern Iowa, and James Madison University,. A passionate advocate for new music, Evan has premiered numerous new works for saxophone, and most recently performed at the 2015 World Saxophone Congress in Strasbourg, France. Outside the concert hall, Evan performs regularly in both jazz and pop genres, and is most notably a member of the acclaimed soul band The Dip. Before moving to Seattle, he traveled the world as a musician for Holland America and Celebrity cruise lines. An experienced educator, Evan is one of the most in-demand private instructors and clinicians in the Pacific Northwest, and appears regularly at schools throughout the Seattle area. In 2015, Evan co-founded the Seattle Saxophone Institute, a week-long saxophone-specific summer camp for local high-school students. From 2008-2010, Evan was the saxophone coach for the Celebration Iowa Jazz Band, an elite touring student big band based out of Luther College in Decorah, Iowa. Prior to this, Evan spent six months studying music in Caracas, Venezuela while completing his student teaching – teaching band and general music to students aged 2-18. Evan has enjoyed concerto appearances with the University of Northern Iowa Wind Symphony, the James Madison University Wind Ensemble and Symphony Orchestra, the University of Washington Wind Ensemble. He has recently appeared as an invited clinician at both Pacific Lutheran University and Graceland College. He has also performed in saxophone quartets the New England Saxophone Symposium and the Plowman Chamber Music Competition. Saxophonist and composer Neil Welch is recognized as a major voice of the Seattle jazz and experimental music fields. His work spans avant-garde jazz, to modern composition, solo saxophone, North Indian classical music, and electronic sound processing. Downbeat Magazine called Neil "an impassioned tenor player" and All About Jazz calls his work "stunning and extraordinary." Neil is dedicated to expanding the saxophone's role in modern improvisation and composition. Born in Edmonds, WA Neil was called to the saxophone at an early age. While in high school, he participated in the famed Essentially Ellington Competition in New York and was awarded the Outstanding Tenor Saxophone Soloist Award by trumpeter Wynton Marsalis. Neil attended the University of Washington, graduating with a B.M. in Jazz Studies in 2007. His teachers have included saxophone master Jay Thomas, University of Washington professor Michael Brockman, in addition to nearly 5 years of study with master sitar player Pandit Debi Prasad Chatterjee. Early in his career, Neil was awarded Emerging Artist of the Year (2009) and Outside Jazz Group of the Year (2011) by the Earshot Jazz Society. Most recently, he was awarded a Jack Straw Artist in Residency (2017) through the Jack Straw Foundation, and nominated for Earshot Jazz Golden Ear awards (2018) in the categories of Outside Jazz Group of the Year, Concert of the Year, and Album of the Year. Neil’s longstanding drum and saxophone + electronics duo Bad Luck—co-run for over a decade with drummer Chris Icasiano—has taken him to nearly every major city in America. Additionally, Neil is a founder of the famed weekly performing arts series the Racer Sessions. Founded in 2010, the Racer Sessions has documented thousands of live improvisations and fostered artistic collaborations between hundreds of musicians from Seattle and around the country. Neil teaches saxophone privately throughout the Seattle area in addition to Whidbey Island. He is an artist faculty and Program Coordinator for the Seattle Repertory Jazz Orchestra Jazz Scholars and Musical Pathways Project education programs, which mentors students and teachers alike throughout the school year in underserved music programs in SE and SW Seattle. Through these programs, Neil has committed to teaching student populations in low-income and rural areas for over 10 years. At the college level, Neil was an artist faculty instructor at Cornish College of the Arts from 2017-2018. As co-director of the Seattle Saxophone Institute, Neil helps provide an innovative, sound-immersive educational curriculum for Middle and High School saxophone students in the Seattle area. Currently residing in Eugene, Oregon, Jessika Smith (Jessie Smith, formerly Jessika Leek) finished her duties as a Graduate Teaching Fellow and graduated with her Master's Degree in Jazz Studies at the University of Oregon in June 2014. She is currently the director and coordinator of the Eugene Composer's Big Band. During her time at UO, Jessika played lead alto with the award-winning Oregon Jazz Ensemble, which toured Europe in the summer of 2014 and participated in the Montreux, Vienne, Umbria, and La Spezia Jazz Festivals. Jessika also plays frequently around the Eugene area with assorted jazz groups, and is teaching K-4 General Music at Prairie Mountain School. Jessika's private students have won principal chairs in honors groups including the Washington All-State Wind Ensemble, participated in regional and state-wide solo contests, and have won music scholarships for college. She has experience in many genres of music including jazz, classical, funk, rock, and Latin. Modern jazz, of great expressive coherence with masterful improvisations. Steve Treseler is a Seattle-based saxophonist, teaching artist, and author. DownBeat calls his music “beautifully crafted ensemble pieces—whether free, through-composed, or somewhere in between.” The Kenny Wheeler Tribute Project that Steve leads with renowned trumpeter Ingrid Jensen was featured on NPR’s Jazz Night in America. Steve grew up in Edmonds, WA and began playing the clarinet in fifth grade band. He got serious about jazz in high school and performed up and down the West Coast with a youth “trad” jazz band. Steve continued his education on scholarship at New England Conservatory of Music in Boston where he studied with jazz legends Jerry Bergonzi, Bob Brookmeyer, George Garzone, and Steve Lacy. Steve holds a Master of Music degree in Jazz Studies and Improvised Music from the University of Washington where he studied with avant-garde trumpeter Cuong Vu. Steve performs and leads creative music workshops across the U.S. He teaches at Seattle Pacific University and is the founder of the Game Symphony Workshop, which helps musicians unlock creativity through group improvisation. He is the author of the Amazon bestseller Creativity Triggers for Musicians, The Living Jazz Tradition: A Creative Guide to Improvisation and Harmony, and the Creative Music Blog. Steve has released two albums as a leader, Resonance (2008) and Center Song featuring Ingrid Jensen, which received a four-star review in DownBeat and made the magazine’s “Best Albums of 2014” list. In addition to leading his own group, Steve is a member of Wayne Horvitz’s Washington Composers Orchestra (WACO), the Tom Varner Nonet, Snow Line Project, Zubatto Syndicate, the Jessika Smith Big Band, the Phil Parisot Quartet, and James Falzone’s Renga Ensemble. He has shared the stage with jazz greats Bill Frisell, Dave Douglas, Bob Brookmeyer, Kenny Wheeler, Steve Swallow, Jamie Cullum, Geoffrey Keezer, and Mike Stern. Kate Olson is an improvising saxophonist and woodwind teacher based in Seattle, WA. She can be heard performing with her own projects Syrinx Effect, KO SOLO, and the KO Ensemble and as a collaborator with Ask the Ages, the Seattle Rock Orchestra, the Royal Room Collective Music Ensemble and Electric Circus (led by Wayne Horvitz), the Seattle Jazz Composer's Ensemble and multiple other groups. Kate has a BA in Music (Jazz Emphasis) from the University of Wyoming and an MM in Improvisation from the University of Michigan. Kate’s international resume continues to grow, including performances in Russia, Latvia, Turkey, Switzerland and Slovakia. She has appeared on stage with Terry Riley, Stuart Dempster, Pauline Oliveros, Allison Miller, Bobby Previte, Skerik, Patricia Barber and pop music icons Elvis Costello, Brandi Carlile, Sir Mix-a-lot and Big Star's Third (featuring members of REM, the Posies, and Nada Surf) among others. In 2011 and 2013, Kate was nominated for the Earshot Golden Ear Award in the Emerging Artist category, and in 2014 she was nominated for the Best NW Instrumentalist Category. Mark Taylor is one of the most in demand saxophonists in the Pacific Northwest. 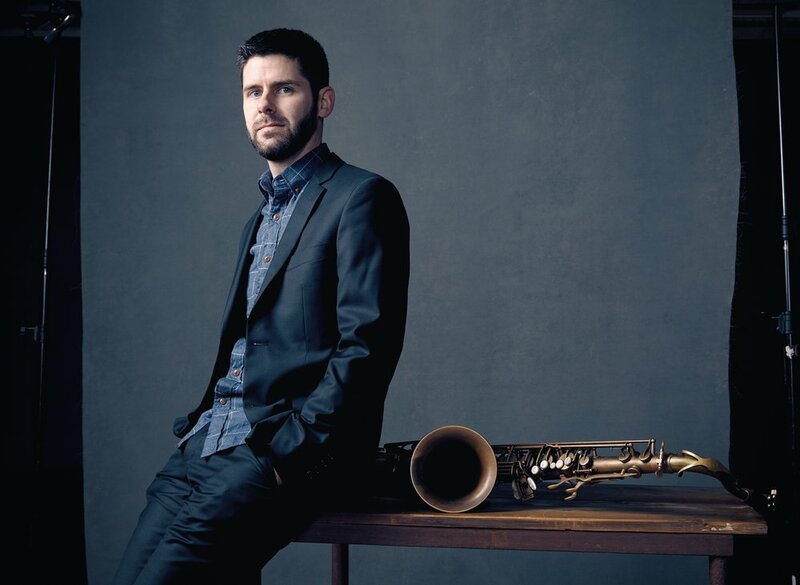 A Seattle native and resident, Mark’s personal sound and style are a fixture on the local jazz scene and have given him opportunities to perform for audiences all over the United States and Japan. Widely respected as a unique and creative improviser, an impeccable ensemble player, and for his stylistic versatility, Mark was honored as “NW Jazz Instrumentalist of 2008” by Earshot Jazz Magazine. Mark performs and records extensively with such diverse and award winning groups as Matt Jorgensen +451, Jim Knapp Orchestra, Frieze of Life, Victor Noriega Trio + 2, Tom Varner’s Tentet and Quintet, Thomas Marriott, Wayne Horvitz, Seattle Repertory Jazz Orchestra, and the Randy Halberstadt Quintet. Outside of these ongoing projects, he has also appeared locally with legends such as Ray Charles, Quincy Jones, and Ernestine Anderson, current headliners in jazz such as Sam Yahel and Maria Schneider, appearances with the Seattle Symphony and Pacific Northwest Ballet, and many more. As a leader, Mark has released two critically acclaimed CDs on Origin Records: “After Hours” (2002), and “Spectre” (2009) which was named “NW Jazz Recording of 2009” (Earshot Jazz). As an educator, Mark has a full studio of private students and is a highly sought after guest artist and clinician for festivals, workshops, and clinics throughout the region. He holds a BM from the University of Washington (1994), and MM from the Manhattan School of Music (2000) in New York City where his performance credentials include appearances with the Grammy Award winning Vanguard Jazz Orchestra. Peter Daniel is a Seattle-based saxophonist and composer. He is the leader of 45th St Brass and member of the popular electro-swing band Good Co. As a sideman, Peter’s credits include ODESZA, Father John Misty, and members of Snarky Puppy and Ghost Note. Peter’s writing for 45th St Brass has been called “extremely sophisticated and avant-garde, yet very catchy and appealing” and in 2017 he was commissioned to compose a piece for a chamber ensemble by UNICEF for their Seattle fundraiser. He is also a very active and in-demand clinician, presenting improvisation and New Orleans style jazz to students of all ages. Although he plays a wide variety of styles, he specializes in funk, soul, and jazz.